Are your ready for the taste of the Christmas Market or Christkindlmarkt? If you've ever been to a German Christmas market, you've probably had the opportunity to try some German mulled wine otherwise known as Glühwein. You can buy this at places like World Market (at least if you don't live in Utah) or you could make your own, which is IMO, much better. Here's a quick and easy recipe. I like to start with a wine that already has some natural sweetness. Many people advocate a dry wine, but if you go too dry it can be a bit antiseptic, plus you're adding sugar to it anyway, so let's not kid ourselves here. What you do want, though, is something flavorful. Now, I'm not talking about a sweet red wine, though if you are one who drinks a lot of soda you might want to consider this, but I'm talking about something that hints at sweetness while still carrying a robust red wine flavor. My favorite options are Zinfandel or the new Bota Box Nighthawk wine. Place all ingredients in the slow cooker on low for an hour or so and then switch to warm for many, many (6 or so) hours allowing the spices to really saturate the wine. The key is that you don't want to wine to simmer or boil; you're not trying to cook the alcohol out, just infuse the flavors. The great thing about making it in a slow cooker is you can serve out of it during the evening, if you're practicing your hygge and entertaining in the cold winter nights. If you don't want to make this in the slow cooker: Place all the ingredients in a sturdy sided, nonreactive saucepan and bring to just below a simmer. Heat together stirring occasionally for 45 minutes or so. Note: I placed the allspice in a tea ball and embedded the cloves in the oranges, but you can do it however works for you. 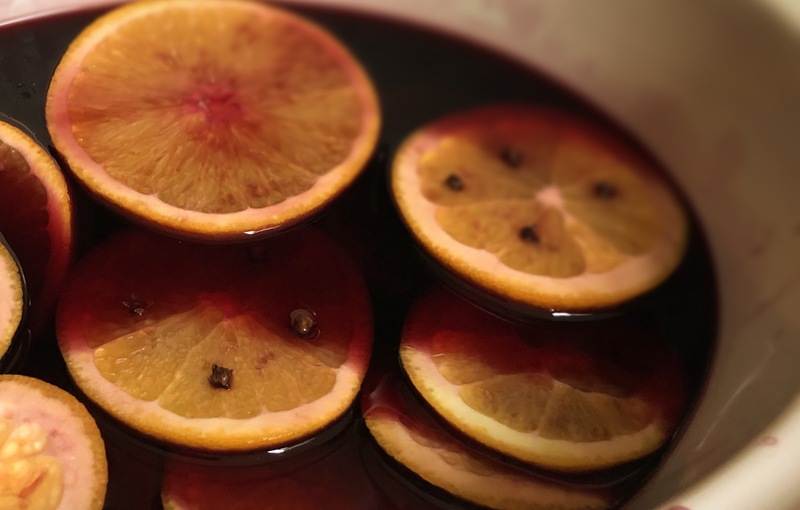 Slow Cooker Gluhwein, this is something great related to German culture and I am very much impressed by this. Thank you for always sharing something great with us.